In the Innovative Dermatology Center we prophylactically check all moles, perform prevention checks of skin cancer and melanoma. For this purpose we use the latest world level diagnostic equipment and employ the latest methods of treatment. Experienced physicians dermato-oncologists and a plastic surgeon advise on moles, benign skin tumours (papillomas, keratoses, and etc. ), precancerous skin derivatives, actinic keratoses, skin cancer (basal cell carcinoma, squamous cell carcinoma), skin melanomas and cutaneous T-cell lymphomas (mycosis fungoides). We are the first in the Baltic countries who examine the suspicious moles with latest world-wide digital dermatoscopy equipment FotoFinder® and Dynamify®. 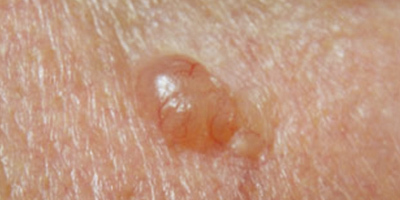 If there are a lot of moles, it is difficult for the patient and a physician to remember all of them. Only within 3 minutes without pain it is being drawn a map of all your moles. It gets into the archive, and the patient receives a map of the body skin moles in order he/she could monitor his/her suspicious moles by him/herself. Upon arrival to the check in a half of a year or a year and once again scanning the whole body derivatives with a system FotoFinder®, it is available very accurately determine changes of even the slightest clinical and dermatoscopic moles, to fixate new derivatives coming out. If during the check a suspicious skin derivative is found, skin biopsy is performed (if other skin analysis methods appear insufficient). This is a minimally invasive method of analysis: a small cylindrical piece of skin is cut after anesthetizing a skin with lidocaine liquid biopsy needle, which is then sent for histopathological examination. 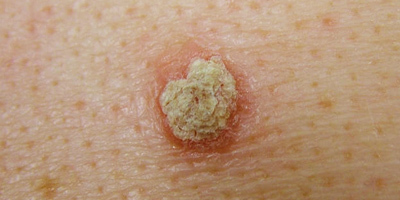 Skin biopsy allows defining accurate diagnosis. 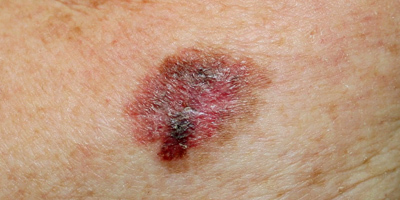 A wound resulting from the biopsy place fully heals within 2 weeks, leaving only barely visible scar. 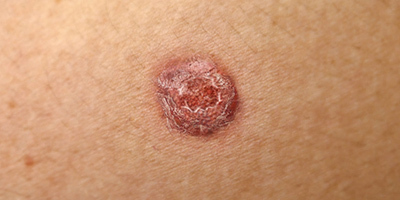 Skin cancer and melanoma can be cured in their early stages! If you have noticed the mole, which size, contour, and (or) colour changes, immediately contact your physician-dermatologist! The specialist’s check is necessary also in the case, if in any place of your body appears more than 2 months unhealed sore. During the consultation, a physician will listen to your complaints, will determine the factors of skin cancer risk; assess the skin phototype, the quantity of ultraviolet rays absorbed by the skin and affections of the skin. All your body’s skin will be carefully examined, you will undergo dermatoscopy. This is a non-invasive skin pigment and vascular derivatives examination, during which a morphological structure of the skin, pigment and vascular structure, skin colour and smoothness are being evaluated. The examination is performed quickly, it does not cause pain and discomfort, does not require special preparation, there are no contraindications, the examination can be performed to all people. Dermatoscopy helps to identify benign and malignant affections of the skin, allows earlier diagnosing melanoma and preventing additional invasive investigation methods.